Photograph: Erin Kuschner Gryo Gone Wild at Hy Mart Sandwiches. 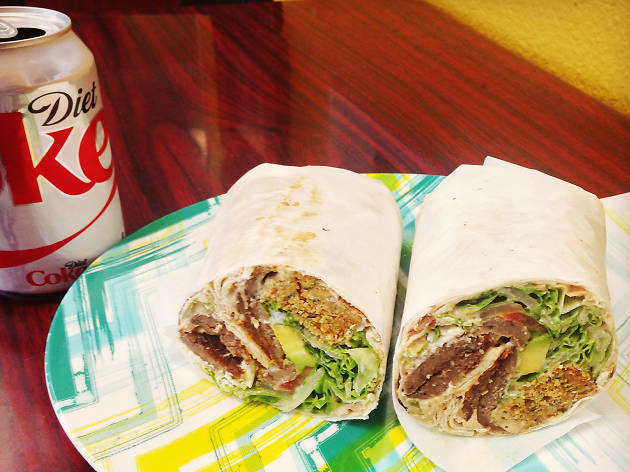 Poke around enough strip malls in the Valley and you'll find some true gems—like Hy Mart Sandwiches, a family-run sandwich shop in North Hollywood offering Mediterranean fusion food. What might that mean, exactly? 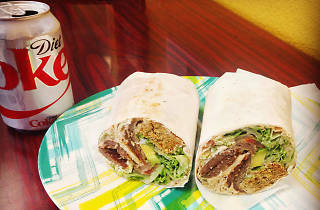 Italian subs with "Mom's Feta" sprinkled in, or a burrito topped with falafel and tahini sauce, just to name a few. Stick around and Papa George might sit down and chat you up while you're devouring a Gyro Gone Wild.